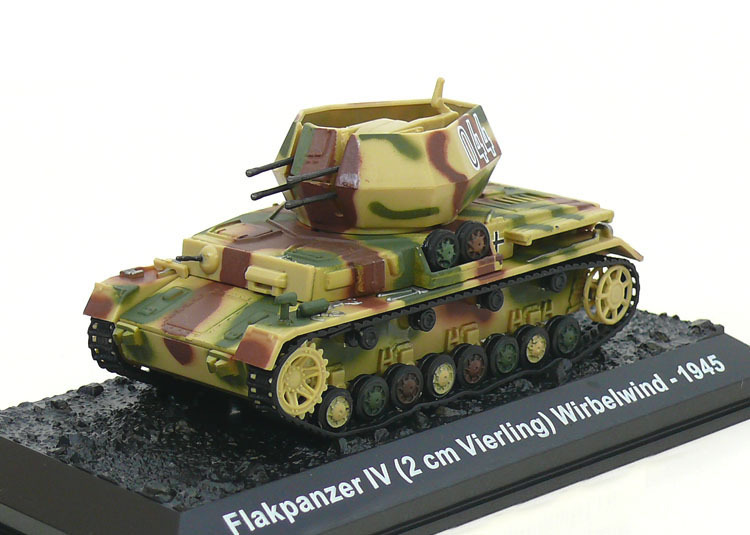 The Flakpanzer IV "Wirbelwind" (Whirlwind in German) was a self-propelled anti-aircraft gun based on the Panzer IV tank. It was developed in 1944 as a successor to the earlier self-propelled anti-aircraft gun Möbelwagen. In the first years of the war, the Wehrmacht had less interest in developing self-propelled anti-aircraft guns, but as the Allies developed air superiority, the need for more mobile and better-armed self-propelled anti-aircraft guns increased. The Panzer IV's turret was removed and replaced with an open-top, nine-sided turret which housed a quadruple 2 cm Flakvierling 38 L/112.5. A closed-top design would have been preferable, but this was not possible due to the heavy smoke generated by the four anti-aircraft guns. Production of the tank was carried out by Ostbau Werke in Sagan, Silesia. As the 2 cm shells used proved less effective against aircraft than the 3.7 cm shells the Wirbelwind was eventually replaced by the Ostwind which was equipped with a single 3.7 cm FlaK 43. The combination of armor and rapid fire from the four guns of the Wirbelwind also made it effective against ground targets. 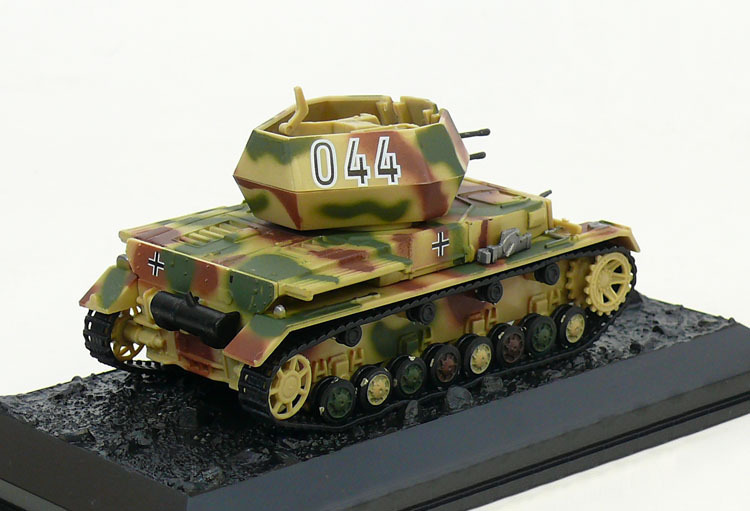 It is believed that either 87 or 105 Wirbelwinds were produced during the war, but due to discrepancies between the recorded production numbers at Ostbau Werke and Wehrmacht service records, the exact number will probably never be known.